On Tuesday morning, freshman Rep. Lauren Underwood (D-Il.) joined Rep. Alma Adams (D-N.C.) in announcing the launch of the Black Maternal Health Alliance, formed in partnership with the Black Mamas Matter Alliance to address the growing threat to black women in childbirth. 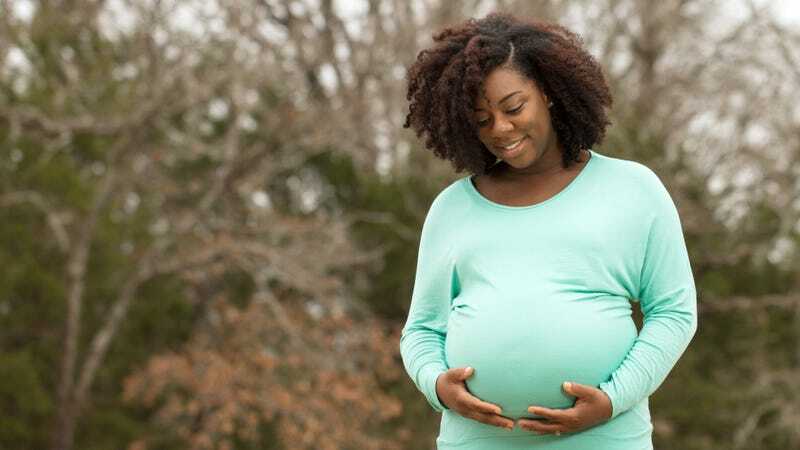 As previously reported by both The Glow Up and The Root, the rate of black maternal mortality in the United States has risen to epidemic levels, as black women across socioeconomic lines are approximately four times as likely as their white counterparts to die in childbirth—and twice as likely to lose a child, due to premature birth. The potential causes are numerous, including lack of access to health care and attention and prenatal resources to disenfranchised and disproportionately of color communities, a lack of attention given to health concerns expressed by black women, and even psychological stress and PTSD caused by racism. But what the numbers alone indicate is that not only are black women and children most at risk during childbirth, but coupled with grim mortality rates for other women of color, the United States currently has the highest mortality rate in developed world. This, despite the fact that the Centers for Disease Control and Prevention has estimated that potentially 60 percent of these fatalities are preventable. The Hill reports these findings prompted Underwood to co-found the caucus, which has already been joined by more than 30 Democratic representatives—including Majority Whip James E. Clyburn, who tweeted his support on Tuesday morning. This isn’t just a moral imperative for two Black women in Congress, this Caucus has electoral and economic consequences as well. As the president has again rattled his saber about repealing and replacing the ACA, and as the DOJ has implicated in the last week that another challenge to Obamacare might be on the horizon, a working Caucus that can produce expertise and white papers about how these changes specifically affect Black women will be crucial. Furthermore, 80% of Black women are the primary breadwinners in their families, which likely means whatever healthcare the family receives is through them as well. Adams tweeted that she was “thrilled” to introduce the Black Maternal Caucus, which will have as its mission the formation of culturally relevant policies that raise awareness about the risks to black mothers and prioritize practices that result in safer births for mothers and children. The Glow Up will continue to follow the Caucus and this crucial issue as it develops.